ESSENTIALS: Open every day for lunch, noon to 4 p.m.; dinner Sunday to Wednesday 4 to 10 p.m., Thursday and Friday to 11 p.m. and Saturday to 11:30 p.m. Brunch to be scheduled. Reservations recommended for dinner; major credit cards accepted; wheelchair accessible, but tight in some parts of the dining area. 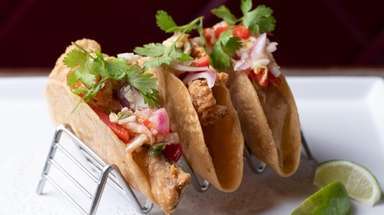 Gillis and George Poll, whose six Nassau restaurants are tantamount to county landmarks, have opened their first in Suffolk, bringing a taste of each one. A big, buoyant, brasserie-style showcase, The Bryant gleams on Route 110, just south of Jericho Turnpike, rising on the former site of a TGI Fridays. 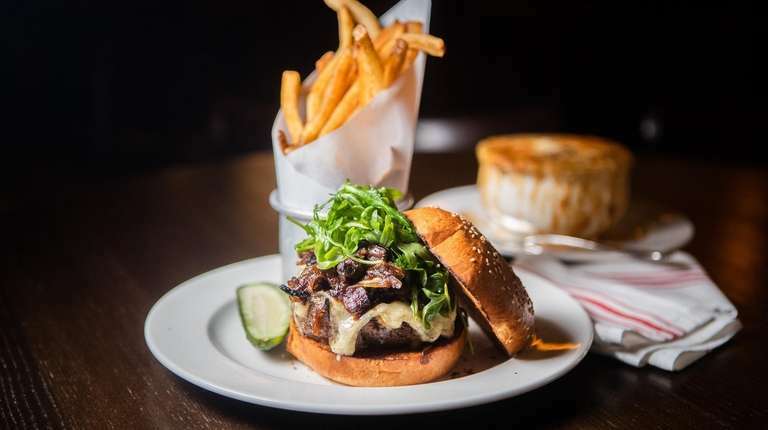 The Bryant also glitters in the starry Poll brothers’ restaurant group, which includes Toku Modern Asian and Cipollini Trattoria & Bar in Manhasset; Bar Frites in Greenvale; Majors Steak House in East Meadow; and Hendrick’s Tavern and cornerstone Bryant & Cooper in Roslyn. Toku and B&C are on Newsday’s Top 100 restaurant list. The visuals and the variety mainly make The Bryant mirror Bar Frites. But it outdoes the Wheatley Plaza reverie in scale, bentwood chairs, polished wood, subway and mosaic tile, and glass, while also adding a whimsical tribute to Andy Warhol’s soup cans. On a Saturday night, the noise level detonates, ignited by hard surfaces, a 200-plus crowd and unyielding background music. An hour in, you may start thinking a staff stress test is underway. Unflappable, they aren’t. But they persevere. Your attention will follow the waiters beyond the J-shaped bar to the open kitchen and the expansive, something-for-everyone selection nearing 90 options. You can be here for burgers and beer, shellfish and Sancerre, sushi and Champagne, poke and riesling, prime steak and vintage cabernet. Hendrick’s Tavern exports its Kobe beef hot dog in puff pastry, the grandest of wiener Wellingtons, which arrives flavorful enough to make you adverse to sharing. 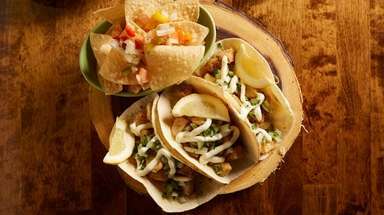 Or lighten things up with the snappy taco of blackened sea bass, mango, and Sriracha mayo, a la Bar Frites. Channel Cipollini with the shareable Margherita and prosciutto-fontina-arugula pizzas. The best of The Bryant, as its name suggests, takes its cue from Bryant & Cooper. That begins with the sirloin steak: fibrous, juicy, excellent. Velvety filet mignon rivals it. 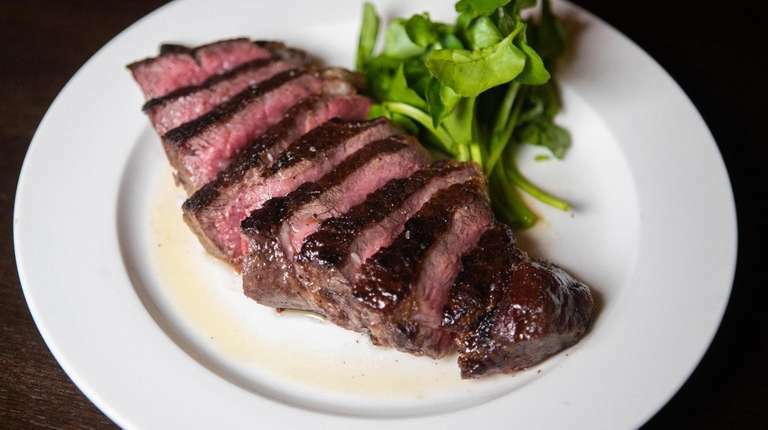 But the porterhouse for two may make you reach for the bottle of B&C steak sauce, or request Bearnaise or chimichurri. Boneless prime rib needs its spark from horseradish. 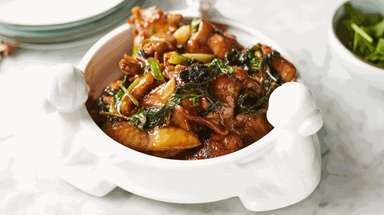 In the same category, Southern fried chicken, while meaty and moist, is short on crunch and seasoning. Instead, consider the chicken Parmigiana, a Hendrick’s mainstay, and a satisfying rendition pounded sufficiently to annex a second plate. Lasagna is the Sunday special, mildly emphasizing the noodles. 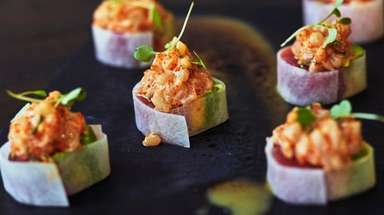 But there’s deftly charred grilled octopus, also as at Hendrick’s; and sushi rolls that carry a hint of Toku, with the Pacific king of king crab, avocado and Asian pear, and the South Beach of hamachi and jalapeño. The dewy but modest crab and shrimp cocktails are more in keeping with Majors, as are the iceberg wedge salad and clams oreganata. On the side, the creamed spinach lacks creaminess; the hashed brown potatoes, salt and pepper. Instead, dive into the mashed potatoes and go green with asparagus. Rather than pick the flat apple galette masquerading as tarte Tatin; or the pasty, warm brownie, stick with ice cream. Or select a trio of cheeses. Some are offered on appetizing salumi boards. 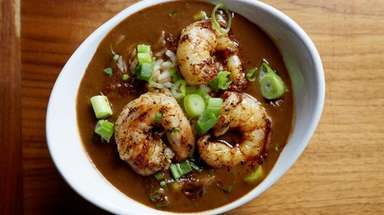 The Bryant has its own jaunty personality, artful look, and mix of cuisines. It radiates energy, inviting you in — and also spurring you to visit Poll restaurants across the border.